Smoothing: To smooth the pitch curve such that abrupt-changing pitch are removed. 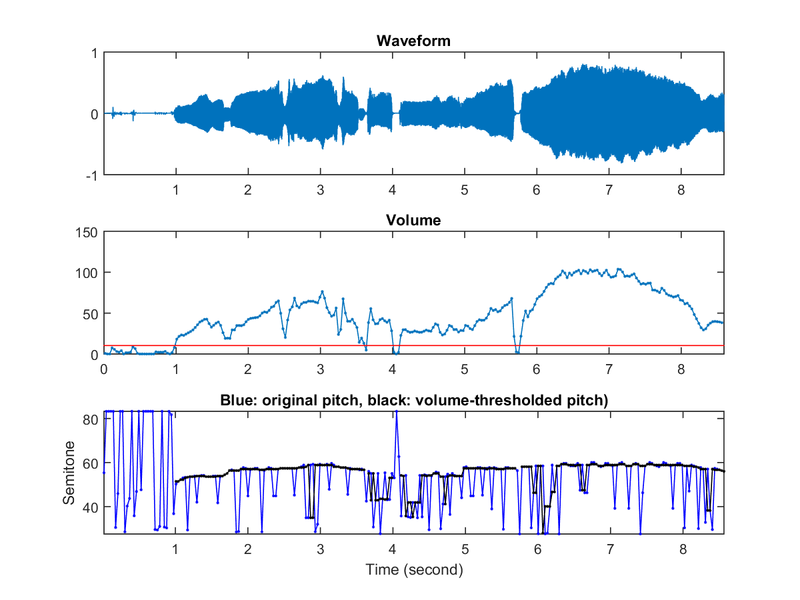 As you can see, the original pitch is full of abrupt-changing noise. After applying a median filter of order 5, some of the noise is correctly replaced with reasonable values. However, for a longer sequence of consecutive error pitch, we still need to rely on other dynamic-programming-based methods to fix them.